Adidas AG appointed Kasper Rorsted as chief executive officer to succeed Herbert Hainer,charging the head of Dial soap maker Henkel AG & Co. with restoring growth to the German sportswear company. 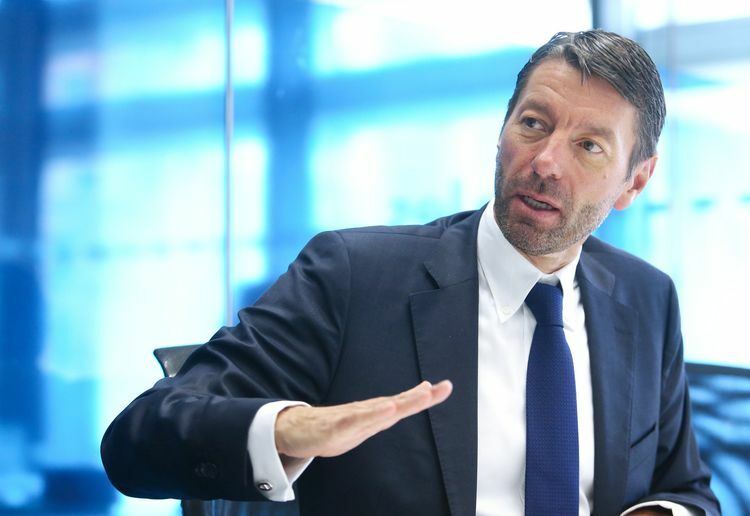 Rorsted, 53, will join the Adidas board on Aug. 1 and take over as CEO two months later, the Herzogenaurach, Germany-based company said Monday. Like Hainer, he is stepping down early from his role, sending Adidas shares soaring and Henkel slumping. "This is a significant positive for Adidas and the investment case," Graham Renwick, an analyst at Exane BNP Paribas, said in a note, describing Rorsted as "a perfect fit." Editor's note: Herbert Heiner, who is the longest reigning CEO for a company on the DAX index, now has a successor. adidas is a company, with a fine pedigree in sports footwear and apparel, that seems to be caught in its own iconography. The Reebok purchase in 2005 has not be anywhere near the success that Mr. Hainer had foreseen. adidas and Reebok just did not click. While well meaning, the cultures of both companies have not mixed and Reebok is an also ran in most of its markets. Funny thing is, next to adidas, Reebok has more footwear technology trademarks than just about any other brands but adidas and Nike. The opportunities are there, the challenge is how to manage and focus the brand Reebok. The adidas ULTRABOOST, launched with the best public relations launch this writer has participated in, and having won consistent awards on their evolved product from 2013 to 2016 from our partner, the Running Network, continues to grow in fashion circles, but struggle in US core running business. The adidas ULTRABOOST is a strong success around the rest of the world. adidas should see their issues in North America as huge opportunities, which they are! The challenge for Mr. Rorsted will be how he can dig through the monolith that is adidas, build on its strengths and fix its weak parts. adidas tends to shoot itself in the foot in North America, per some observers. The Kanye West BOOST product is a fashion must have, and that does sell shoes, but only to a point. One can not spend a half hour on twitter without finding a new tweet for adidas Boost product for the fashion realm. The size of adidas gives it opportunities that other brands can not fathom. The key for adidas is how to utilize them. The strengths are there. A strong footwear development group. An amazing apparel group. The strength of a brand that can produce amazing quality product. The product side is very strong, but in North America, the inability to build, especially in running, with the most iconic marathons in the world (Boston and London) must be as frustrating to insiders as it is to keen observers of the brand. The ability to communicate with the North American core runner and core running retailer is lacking. The recent announcement of adidas terminating its contract with the IAAF, the embattled global federation for athletics also puts more questions into the mix. adidas made the mistake in North America in the 1980s of giving up serious sport and becoming a brand of the fashionista. The fashion success fell apart and adidas America came on hard times, until, in the early 1990s, the team around the late Rob Strasser, the John Belushi of the running footwear business, and a man of amazing creative bent, saved the brand. Mr. Rorsted has such an opportunity. adidas should be the global leader in serious running, which is a key influencer in over half of the $100 plus technical sportswear sales globally. It will be fascinating to see how Mr. Rorsted approaches the challenges for adidas, which, if his story continues, will mean much success for adidas in the future. My hope is much success for adidas and an interview with Mr. Rorsted.